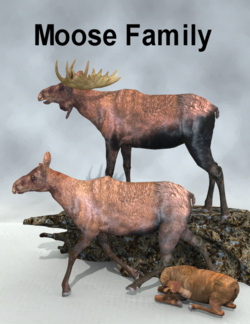 Stand Alone Poser figure set of Moose. Includes male, female and calf. Poses and Jen re-rigged version are included. This page was last edited on 9 September 2018, at 16:32.